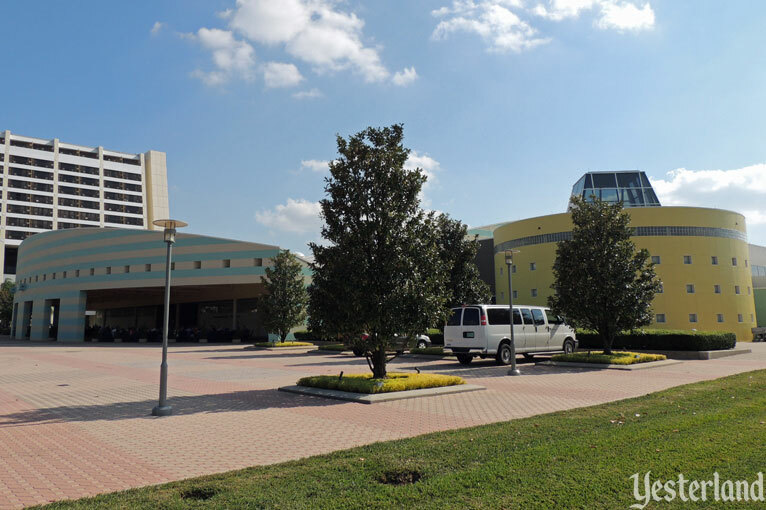 This past weekend at Disney’s Contemporary Resort at Walt Disney World, I attended my first D23 Destination D event. 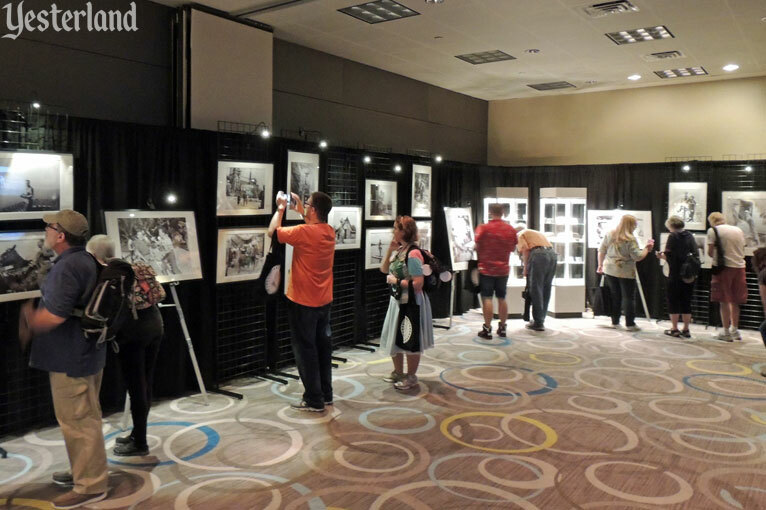 I was there as a paying attendee, but D23 provided press photos to me. If you were lucky enough to be there too, take another look. Otherwise, see what you missed. 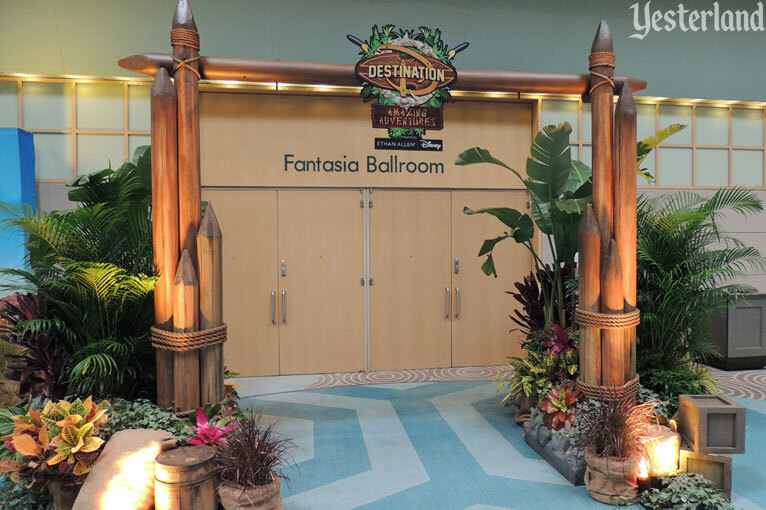 The theme of this D23 Destination D was “Amazing Adventures”—an umbrella that covered worldwide Adventurelands, other adventurous places in the parks (such as Pandora and the rest of Disney’s Animal Kingdom), nature movies, adventurous movies (especially the new Moana), and even a photo exhibit about Walt Disney’s own adventures. 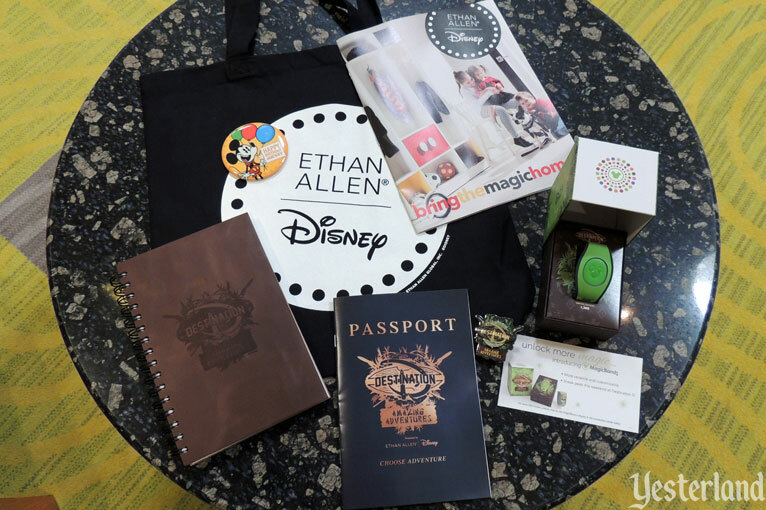 MagicBand 2.0 is a new form factor for MagicBands. It features a removable oval puck that can be moved to keychains and other accessories. 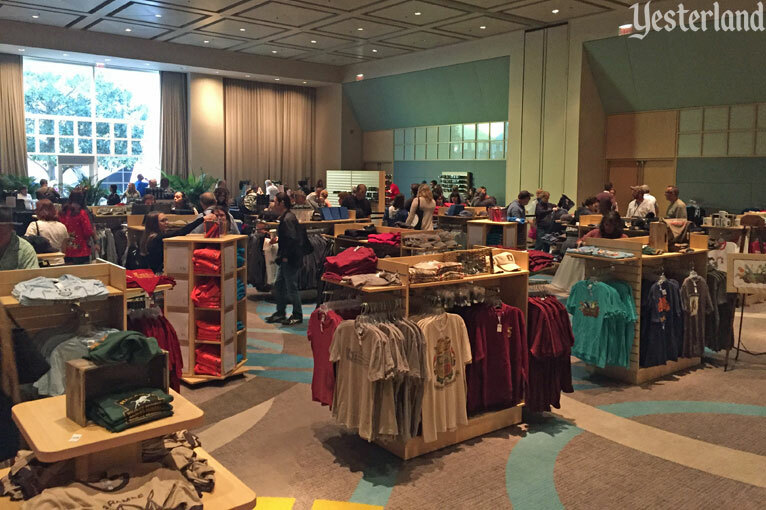 D23 members attending the event are the first Disney guess to see, receive, and use the new style, which is not yet available elsewhere. 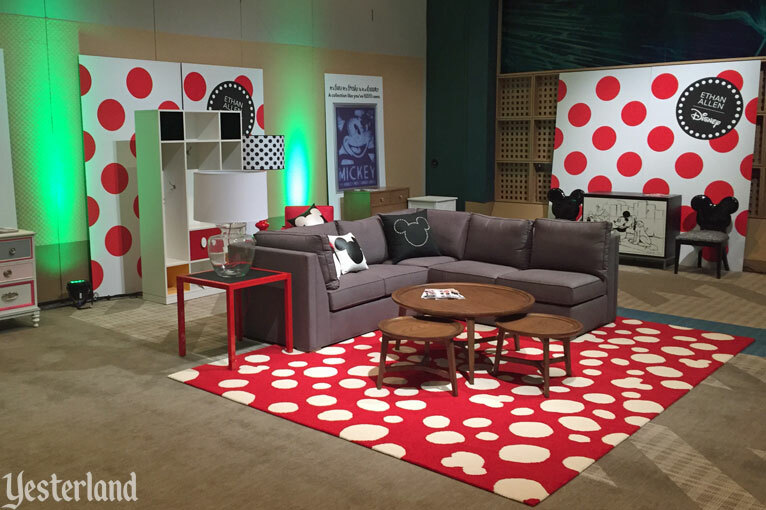 Designed by Ethan Allen and inspired by Disney’s iconic characters, Mickey Mouse and Minnie Mouse, the impressive collection includes over 500 fun, yet sophisticated, styles for the modern family that start at just $19. Needless to say, most pieces cost far more than $19. The quality, befitting the venerable Ethan Allen brand, appears to be high. During the event, tired attendees used the comfortable sofa as a place to relax with their smartphones. Although a ballroom with a flat floor is not ideal as a theater, the room was set up so everyone could see what was going on. The stage was raised. A large screen above it usually showed the presenters, while screens to their left and right showed the presenters’ visual material—all sorts of wonderful concept artwork, historical photos, never-before-seen images, and brief videos. Unlike the huge D23 Expo conventions in Anaheim, Destination D does not sell more tickets than there are seats for presentations. In fact, there were more seats than attendees to make sure that everyone could always find a seat. 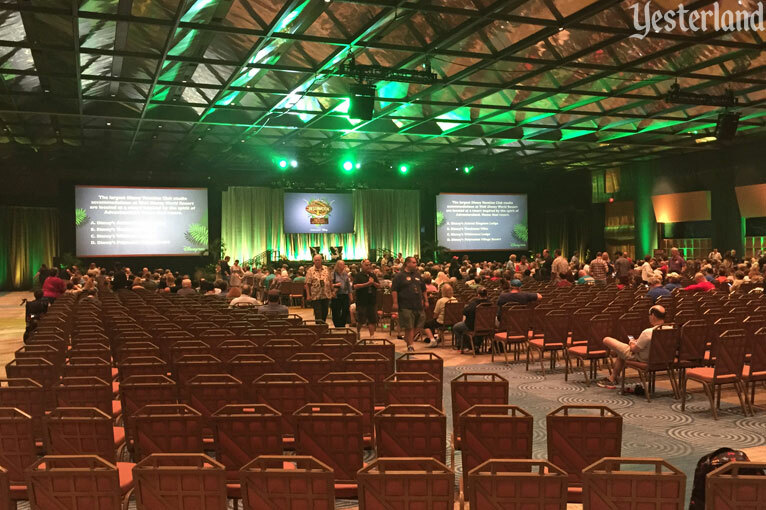 The first four rows were reserved for those—dubbed “Wilderness Explorers”who paid a substantial premium for this event—while the rest of the room was open seating. Destination D did not allow photography, audio recording, or videos during presentations. Only Disney’s own designated people could do so. This allowed the presenters to show images and discuss topics that that are not meant for a larger audience. It made for a better environment because attendees sat back and listened, instead of holding their smartphones above their heads. However, this also means you won’t be able to find the presentations on YouTube. Attendees came from 39 states and eight different countries. 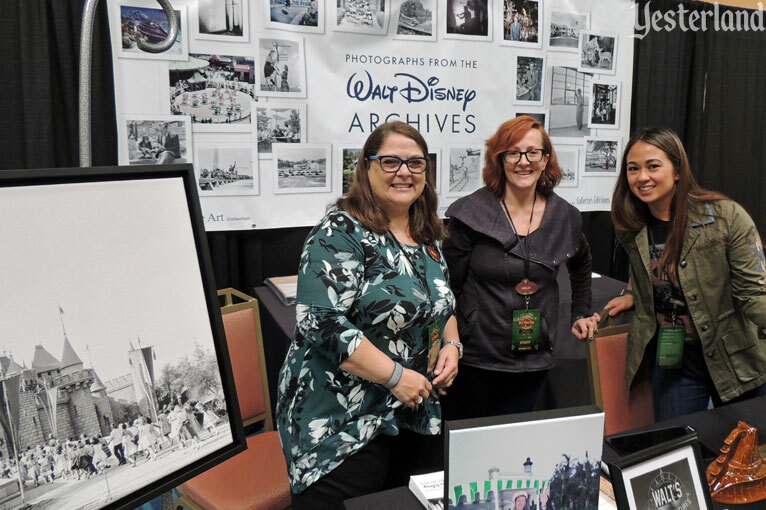 For two days, we enjoyed outstanding presentations by Disney executives, Imagineers, filmmakers, other creatives, historians, archivists, and others. 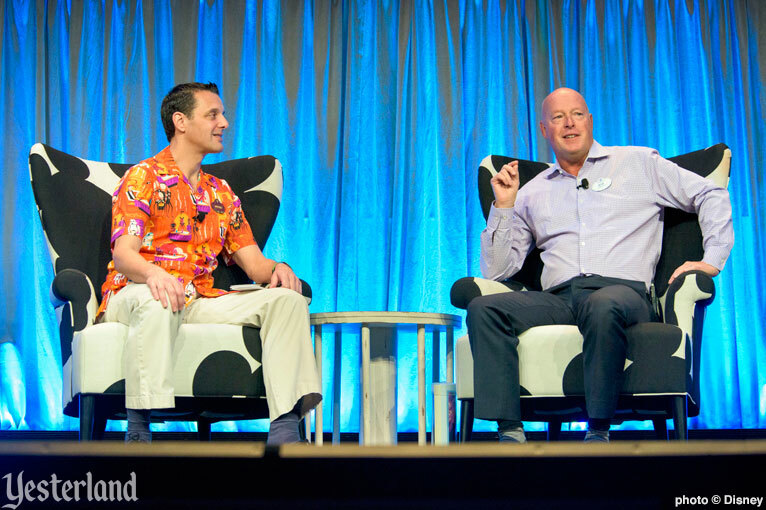 Bob Chapek talked about the highlights of 2016—Shanghai, new Soarin’s, new Frozen stage show, new Frozen ride, Disney Springs, and the drone show there—and then made announcements about Pandora and others things to come. I could write a whole article about this presentation. 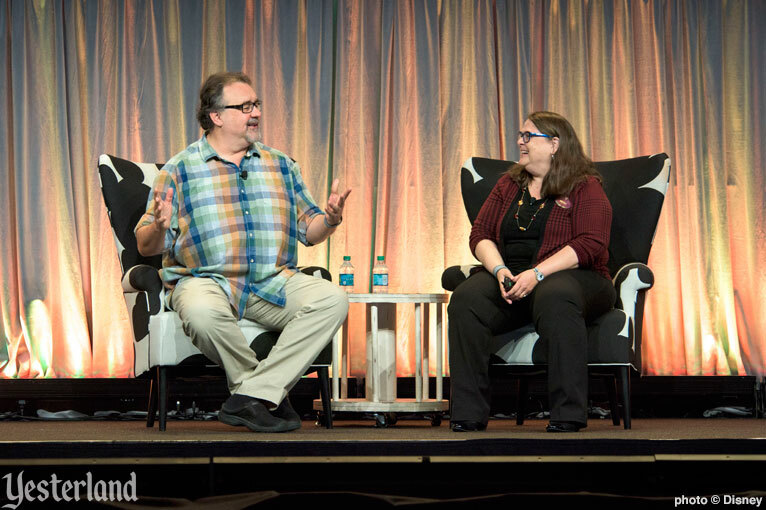 Film producer Don Hahn and Walt Disney Archives Director Becky Cline provided a witty presentation about Walt Disney’s True-Life Adventures, with some comparisons to the current Disneynature movies. 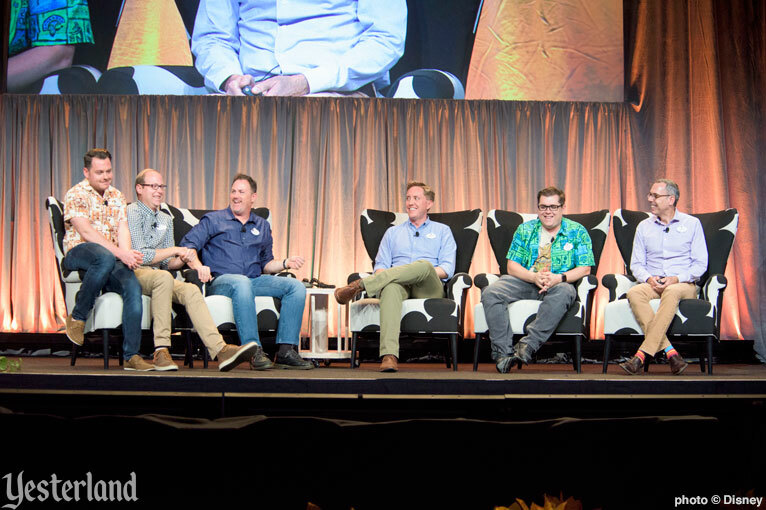 Former Jungle Cruise skippers—including Archivist Justin Arthur, Skipper Canteen’s Trevor Van Dahm, and Imagineers Chris Merritt, Wyatt Winter, Kevin Lively, and Alex Grayman—told the legendary history of the world-famous ride that originated in 1955 at Disneyland and also has versions at Magic Kingdom Park, Tokyo Disneyland, and Hong Kong Disneyland. There’s no Jungle Cruise at Disneyland Paris because, by the time that park opened, there were Jungle Cruise knock-offs at various European parks, and Disney did not want to be perceived as a copycat. 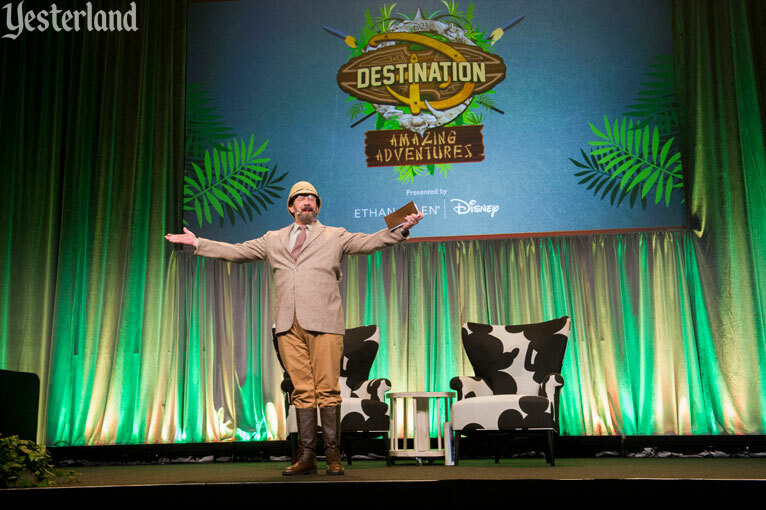 The funniest part was when Kevin Lively told the backstory of the Skipper Canteen, which includes how Dr. Albert Falls’ daughter Alberta Falls inherited the Canteen upon his death—whereupon event emcee Dr. Albert Falls marched onto the stage to show his distinct disapproval of that fact. The presentation “Adventurelands Around the World,” included not only lands officially called Adventureland, but also other adventurous lands. 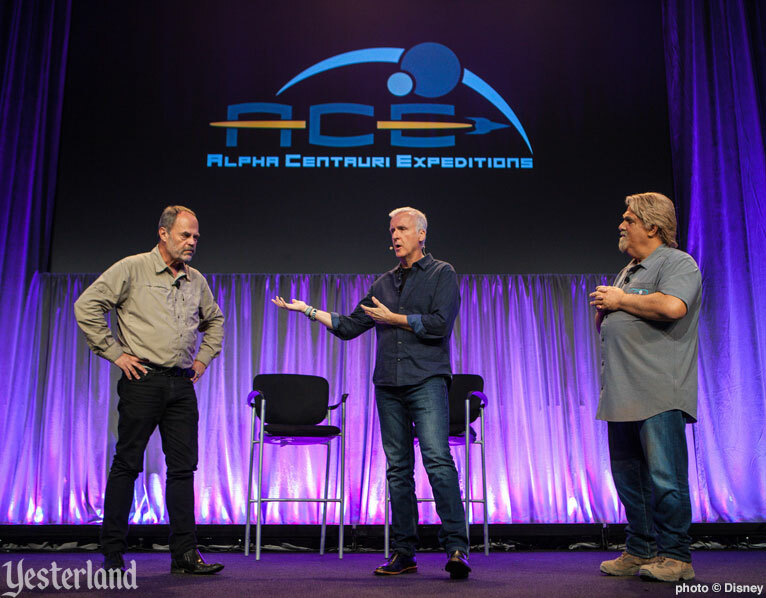 For their presentation ”Pandora – The World of AVATAR,” Imagineer Joe Rohde and AVATAR creators James Cameron and Jon Landau (as Alpha Centauri Expeditions Founder Marshall Lamm) acted as though Pandora is a real place (not a theme park land) that they had recently visited, and that it would soon be open to guests. In the process, they described what to expect from the newest land at Walt Disney World, opening summer 2017 at Disney’s Animal Kingdom. I’m one of the many Disney fans who saw AVATAR (2009) in a movie theater, contributing to its huge box office numbers, but was less than thrilled when Disney acquired the theme park rights. The movie lacked the memorable characters and “I want to go there” qualities of the Cars, Star Wars, and Harry Potter franchises. But, I have to admit, I’m now looking forward to Pandora. 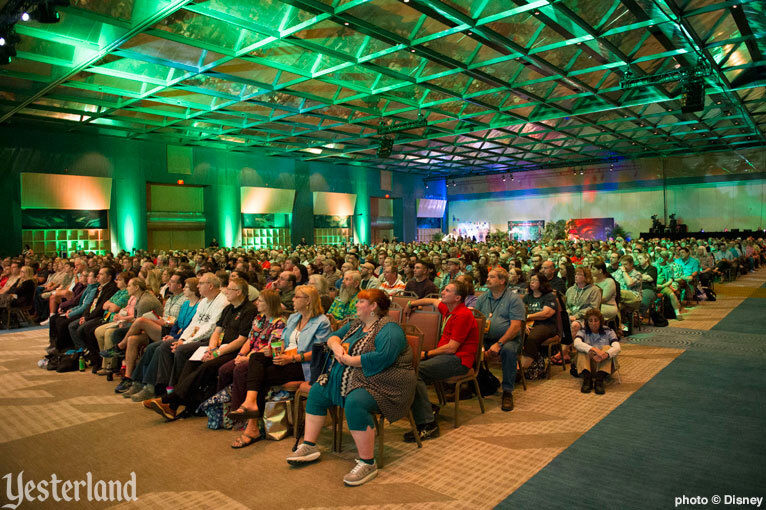 Later on the same day, Joe Rohde did a solo presentation, “Disney’s Animal Kingdom: Evolving a New Species of Theme Park,” describing how he approaches projects to achieve authenticity and respect for indigenous cultures. 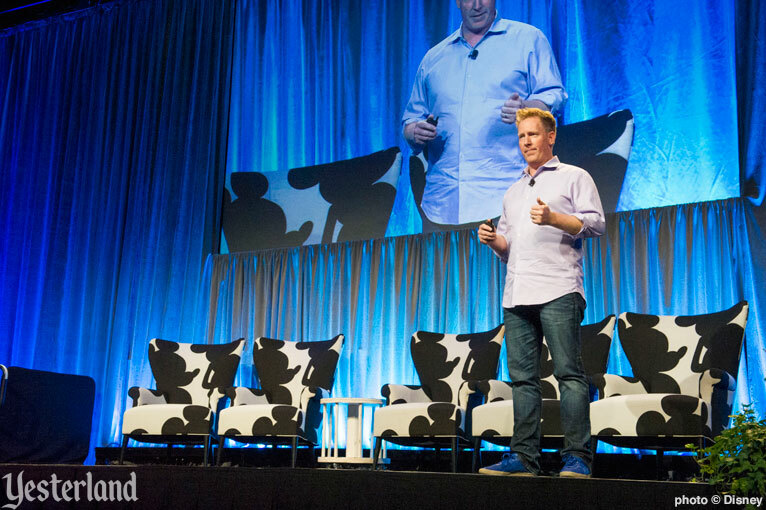 He told eye-opening anecdotes from this global travels. And he made it clear that Pandora will have authenticity, even though it comes from a work of fiction. One message that reverberated across the two days is how much today’s Imagineers respect and admire those of came before them and invented the art of Imagineering. 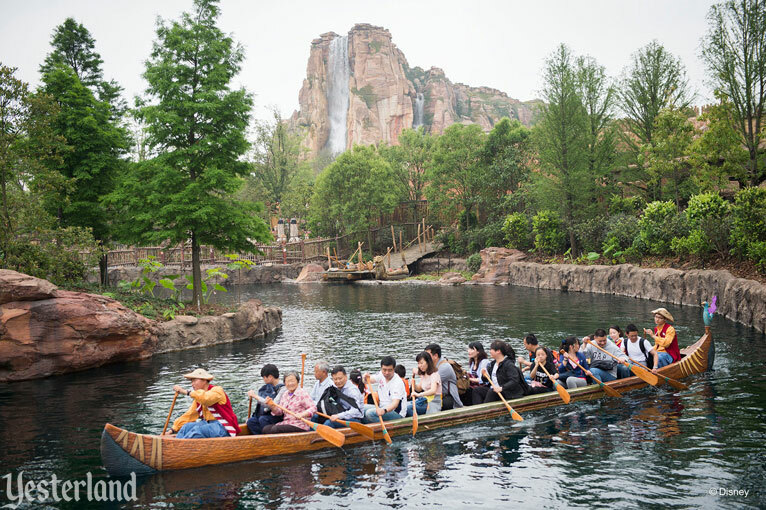 Chris Merritt is not only a top Imagineer these days—one of his many recent projects was Mickey Avenue at Shanghai Disneyland—but he’s also a theme park historian and author. I’ve reviewed his wonderful book on Knott’s Berry Farm and his equally wonderful book on Pacific Ocean Park. 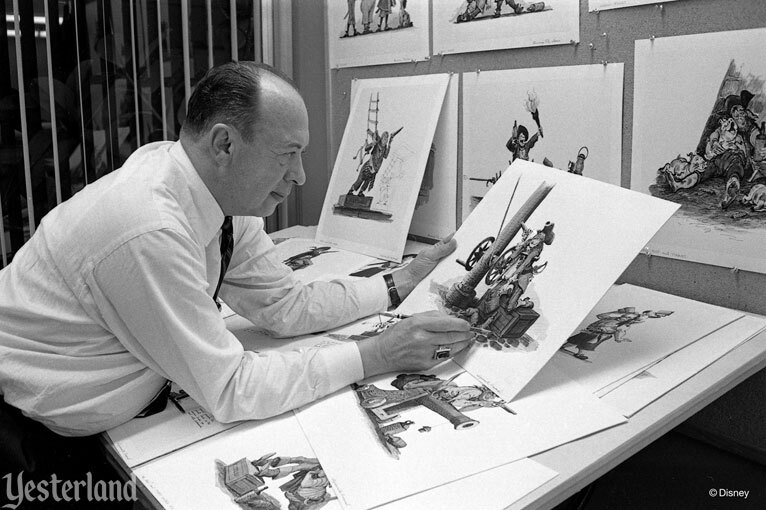 Along with director Pete Doctor, Merritt now working on a new book about Marc Davis. There was recently another book about Marc Davis, but this one will have never-before published images from his widow Alice Davis, from the Walt Disney Archives, and from the collections of Walt Disney Imagineering. Much of the book will use Marc Davis’ own words. If the result (currently envisioned as a two-volume coffee-table art book) is even half as good as Merritt’s presentation, it should be one of the best books ever involving the subject of Imagineering. As already noted, Destination D is quote different than the D23 Expo. Compared to the Expo’s multiple tracks of sessions for different interests and its huge exhibit space, Destination D is focused almost entirely on the two-day agenda of presentations inside the hall. But there was more. Not surprisingly, a Mickey’s of Glendale shop sold pins, t-shirts, other apparel, and a few mugs and books. I bought a Pleasure Island pin for $2.00, marked down from $12.95. Of course, there were other attendees who spent far more than I did. Walt Disney Archives has four million photographs in its collection. For this event, they set up a small gallery exhibit with historical photos, and a terrific loop on a large video display, a few display cases with artifacts from the archives. The pieces were well selected, and I enjoyed the exhibit very much. The Walt Disney Archives has partnered with Disney Fine Art by Collectors Editions to digitize particularly outstanding images and make them available to fans who would like to hang them in their homes. If you’d like to know more and find out what it costs, there’s a link at the end of this article. 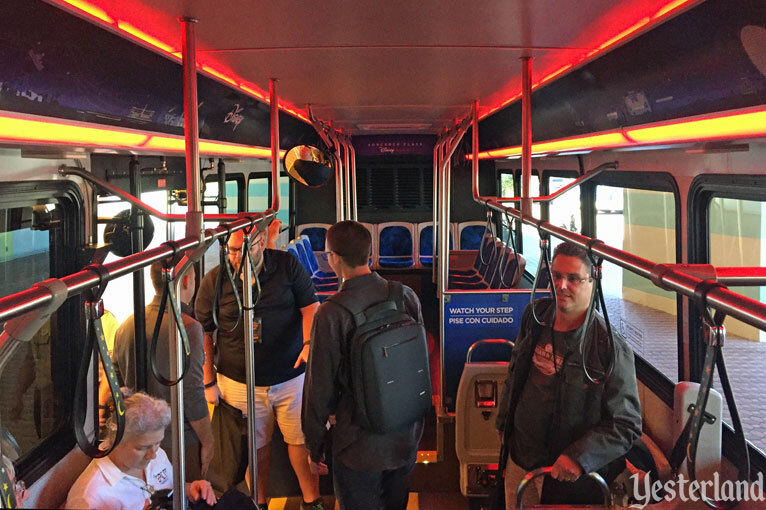 In any case, I’m glad that Chapek wants to improve WDW transportation. Destination D had events both evenings. 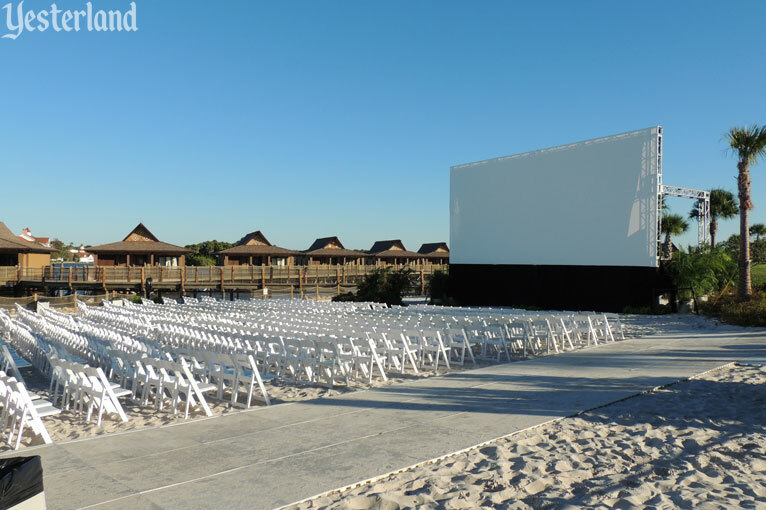 On Saturday, we headed over to the sandy waterfront (no longer a beach) at Disney’s Polynesian Village Resort, where a 1200 chairs and a large movie screen waited for us. After an hour or so of other material and a lively host, we were shown an advance screening of Disney’s new animated feature, Moana, and the new six-minute animated Disney short, Inner Workings, that accompanies it. So far, my favorite movie this year had been the brilliant Kubo and the Two Strings from Laika. Now Moana is tied with it. Moana is well worth seeing at your local cinema, even if it doesn’s have a beach sand floor. Well ahead of the event, D23 had this intriguing tease for attendees: “Please keep in mind, we have a special evening activity planned for Sunday, November 20 that attendees won’t want to miss. Stay tuned for updates.” Rumors spread online that perhaps it would be a preview of the long-delayed Rivers of Light nighttime show at Disney’s Animal Kingdom. Alas, that was not the case. Instead, we were invited to visit Magic Kingdom Park with a FastPass+ for Jingle Cruise pre-loaded on our new MagicBands 2.0 and free admission to the park for those who needed it—but otherwise no in-park Destination D grand finale. I decided to skip it so I could begin work on this article. 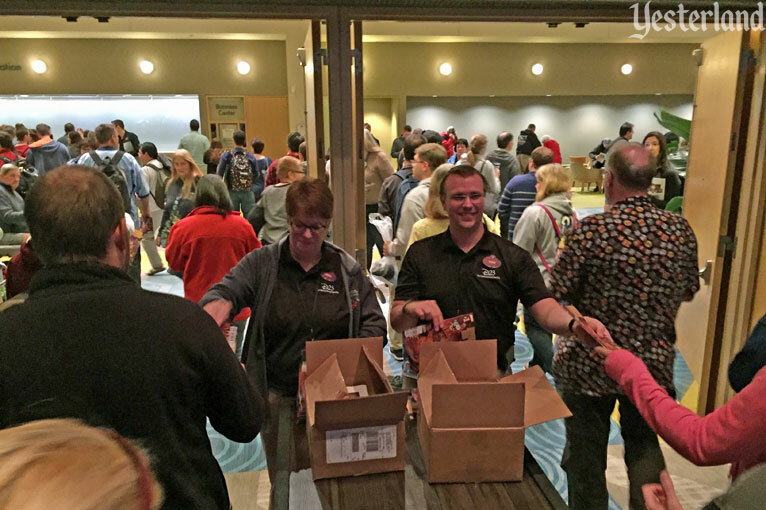 After the final session Sunday, everyone received a free copy of Marvel’s new Enchanted Tiki Room comic book. Other gifts that everyone received during the event were a set of four Pandora posters and a Pinocchio lithograph. When I get home, these will join my other D23 items, which are too nice to throw out, but that I really don’t need. I don’t know yet if I’ll go to D23 Expo, July 14–16, 2017, at the Anaheim Convention Center. But I’m already looking forward to the next D23 Destination D, which I hope will be at WDW in the fall of 2018.